Why is it that there are so many stories about unremarkable men but not about remarkable women?, asks one of the many "Joan Littlewoods" in this exhilarating biographical tale. Miss Littlewood, a new musical unravelling the life of revolutionary British director Joan Littlewood, goes some way in putting that right. Created by Sam Kenyon, this Royal Shakespeare Company (RSC) production showing at The Swan Theatre until August 4 takes seven actresses to play such a larger than life character. While the first act charts her early life and loves with zestful comedy and more than a touch of romance, the second act focuses more heavily on Joan's productions and latter years, always with a song not far away. Songs that are tuneful, sentimental and fit beautifully into the moment. Among the soundtrack, there's the folk-influenced track 'The Wanderer's Lament', memorable 'Paris is a Woman' and cheekily charming 'A Little Bit of Business', sung emphatically by an excellent Emily Johnstone playing Barbara Windsor (one of Johnstone's many lively roles). 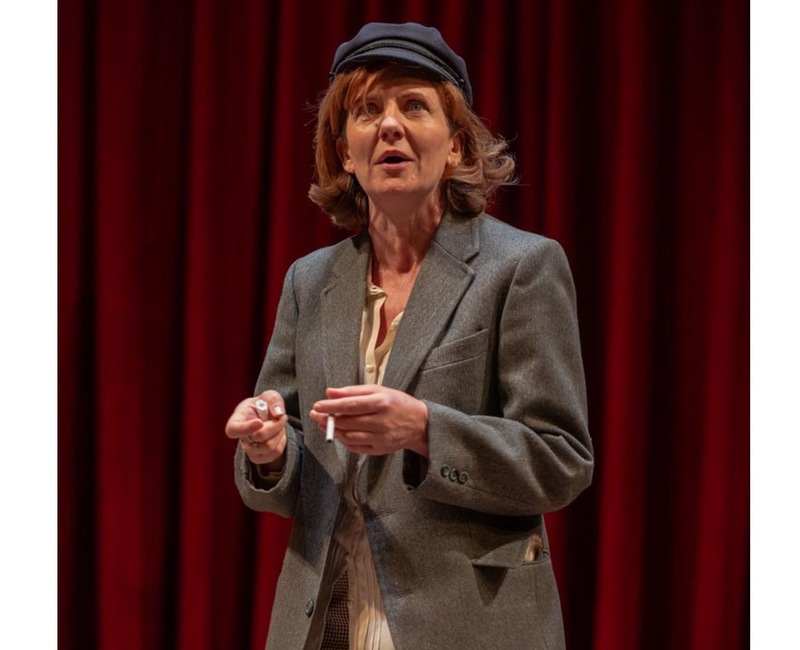 With in-jokes about the stage, the Arts Council and the ruthless attitude of directors, Miss Littlewood does justice to a career in theatre that involved this revolutionary woman challenging the establishment and putting on fresh work, often for and about the disenfranchised. Joan became known for her independent thinking and aversion to the big West End productions, preferring to bring political and socially relevant plays to the stage. It's during the second act that the drama charts these shows, from 'A Taste of Honey' to 'Oh What a Lovely War'. Along with a nod to many of her productions, there's a music hall feel; a sheet that reflects shadows and stories; an electronic ticker tape that reminds the audience of when and where we are up to in her life and old-fashioned group song and dance numbers. Bringing it all together is a superb and well cast group of performers. There's the main Joan, played with delicious acerbic attitude by Clare Burt, who also acts as a kind of director to the piece. The constant swapping in and out of actresses playing Joan allows for the various sides and ages of such a multi-dimensional woman while also laying the seeds for numerous jokes on the ruthlessness of directors. 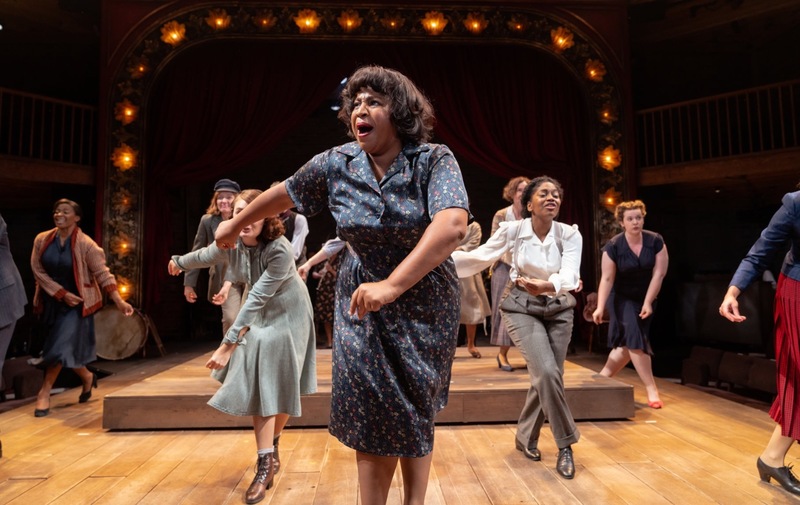 All of the actresses playing Joan are a joy - commanding Clare Burt, the versatile Emily Johnstone, fiesty Aretha Ayeh, intense Sandy Foster, debonair Amanda Hadingue, beguiling Dawn Hope and vivid Sophie Nomvete. Nomvete is also a force to be reckoned with as the northern performer Avis Bunnage whose energy, fun and comic timing are sensational. 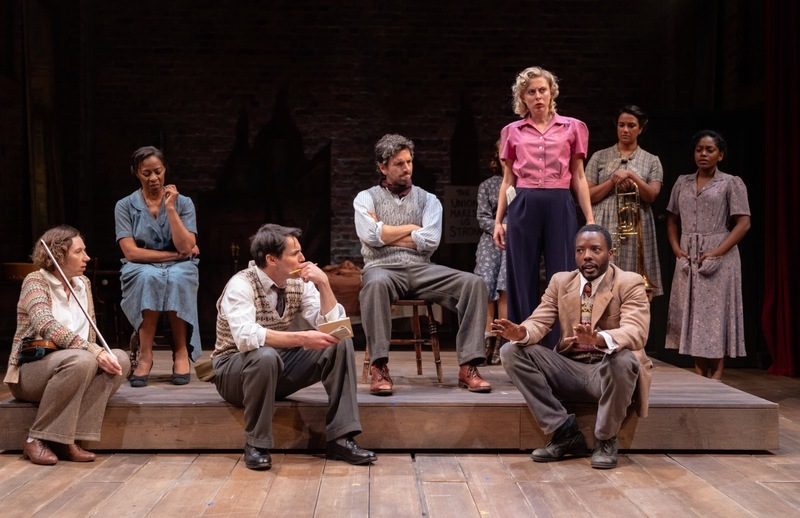 Playing the love interests in Joan's life are Greg Barnett, showing how well he can carry a tune as Jimmie Miller, and Solomon Israel, personifying the charm of Gerry Raffles that both attracted and devastated Joan. What makes this intelligent show so special is that it's a biography on a personal and professional level. There's no doubting her theatrical abilities but there's also heart-wrenching scenes that explain her regrets and motivations. When Joan ultimately "misses her cue" in a life-defining moment, it leaves a lump in the throat. Miss Littlewood is simply an unmissable show with a beating heart and passionate soul. It's refreshing, very funny, gritty and vivacious - much like the woman herself, I imagine. One thing is for sure, Miss Littlewood is a remarkable piece of theatre worthy of remembering such a remarkable woman. Don't miss it!